For Bristol, it’s all about prestige — and convenience is merely a welcome bonus. Prominently located at the corner of Corporate & Parkway Avenues, Bristol is the preferred residence for the modish, no-nonsense, go-getting crop who opts for nothing less than taking life at the helm. 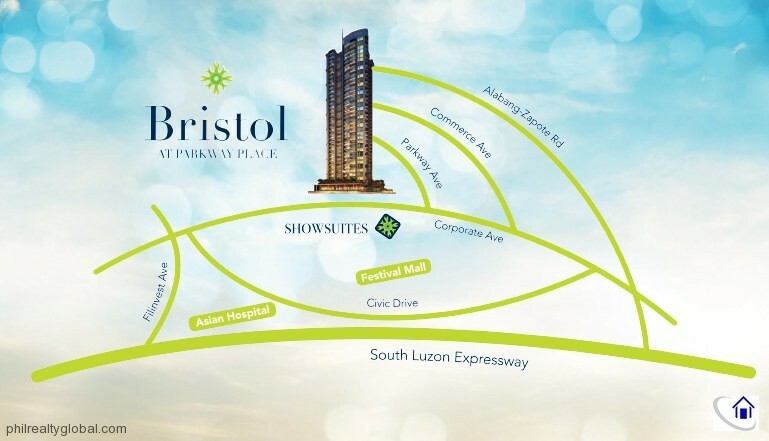 Bristol is nestled at the upscale section of the master-planned urban center, Filinvest City, the premier CBD and garden city. 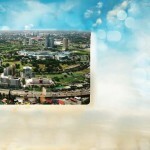 Top local and multi-national companies made Filinvest City their home for its world-class facilities, possibilities and promise. 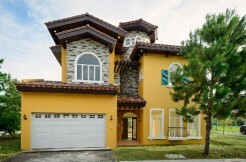 Neighboring exclusive subdivision and a business-related park are just within the vicinity. Bristol is just a block away from the exclusive Palms Country Club, providing you access to a world of play and recreation available only to a limited few. 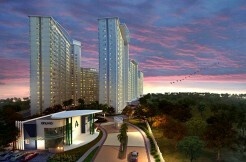 A few steps away is a driving range which further makes up for an active lifestyle. Bristol provides a convenient access to Festival Supermall’s River Park, inspired by the romantic Venetian gondola experience by the living creek leading to the south metro’s largest lifestyle and entertainment retail district accentuated by a myriad of al-fresco dining choices. Schools like De La Salle Zobel, Paref Woodrose School, Paref Southridge School, FEU Alabang and San Beda College Alabang are within easy reach. The world-class Asian Hospital is just nearby, along with a direct access via Skyway, SLEX, Alabang-Zapote Road, Daang Hari and other thoroughfares that lead to Makati, Laguna, Cavite and Manila. 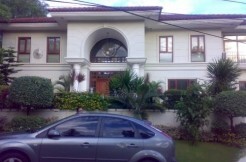 Further, as part of Filinvest City, 24/7 estate security and emergency response systems are inherent. 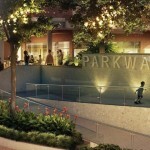 Parkway Place is an exclusive residential complex. 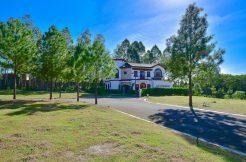 It has its own private gate with a circular drive and an impressive water feature providing for that grand entrance requisite. The Library / Study Hall is a quiet place for everyone to catch up on reading, for students to finish their homework, have lessons with a private tutor or to work without distraction. When hosting parties or private events with friends or conducting business-related gatherings, the function room is an ideal venue. Have a movie night with your friends watching videos in the comfort of Bristol’s Entertainment / Media Room. For the times you need to slow down and take a breather, the Meditation Yoga Deck becomes the go-to place for some solitude and relaxation. A plush landscaped al-fresco retail strip and boutique shops located at the ground floor add to the numerous restaurant and retail choices, aside from those found at Festival Supermall, providing an evolving entertainment landscape. Zen-inspired amenities Take a moment to indulge in this carefully designed amenities, befitting a life of leisure and simple sophistication. 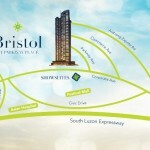 Soaring 40 storeys from the ground up, Bristol is set to be the tallest condominium in the garden city skyline. When you want to indulge in the view from the top, head up to the sky lounge that offer breathtaking panoramic views stretching out to the majestic Laguna de Bay. This is also a good place to get-together with family and friends, especially during Fridays and weekends but everything goes slow as you enjoy great conversations, great food, and great company. The existing nature path behind the development will be preserved and designed as a landscaped waterway, further adding to the balance of modern living amidst the lush natural landscape of the neighborhood. The impressive modern design of the building also boasts of nature-enhancing features to allow natural ventilation in common areas, pocket gardens for fresher air as well as water and energy efficiency features to care and protect the environment. 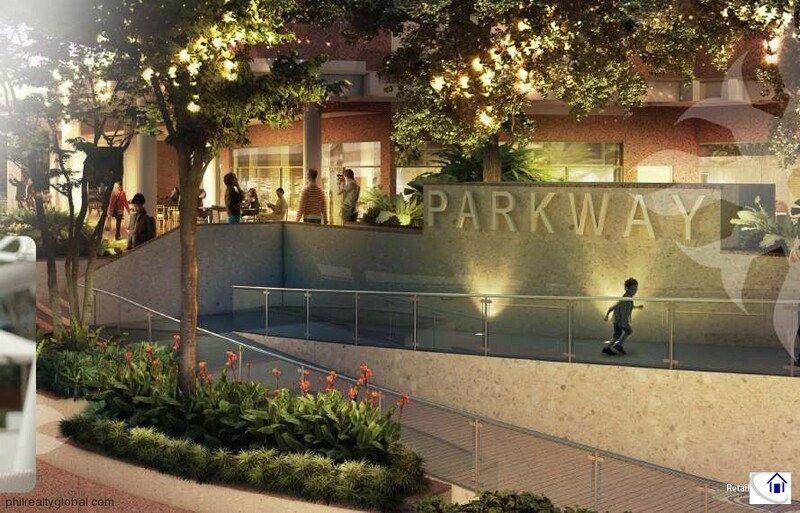 Being steps away from the South’s shopping mecca and easy access to the Festival Supermall River Park, taking a scenic walk by the pathway down the beautifully landscaped waterway can be readily done. Indulge in the breathtaking panoramic view of the urban center stretching out to the majestic Laguna de Bay – all from the privacy of your own spacious balcony. 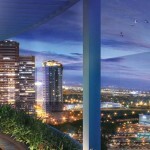 Here, all units are designed and positioned to allow for a prominent view of this vibrant skyline. A life of ease awaits you as everything you need are all within comfortable reach, be it shops, leisure, rest and relaxation while at the same time affording you with precious moments of tranquility away from the daily buzz of life. 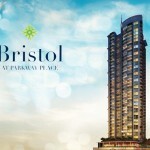 Elevate life to new heights as Bristol translates elegance to its living spaces. With impressively spacious and beautifully-designed 1-bedroom, 2-bedroom, and 3-bedroom residential units, Bristol typifies ease, openness and sophistication embodying modern gentleness in its flow and design. 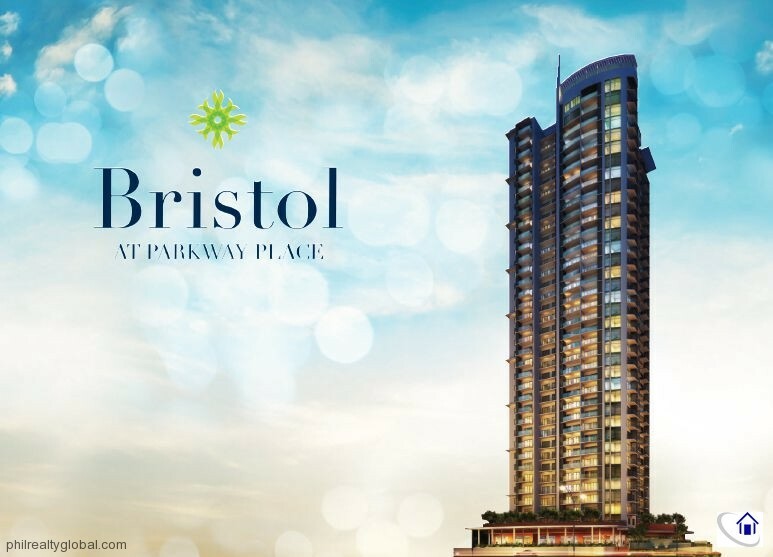 Contemporary living is taken to new heights as Bristol Tower offers distinctive residential units designed to address the demands of discerning clients. 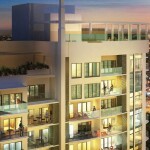 All units have been thoughtfully designed to create a harmony of well-planned spaces and refreshing views. 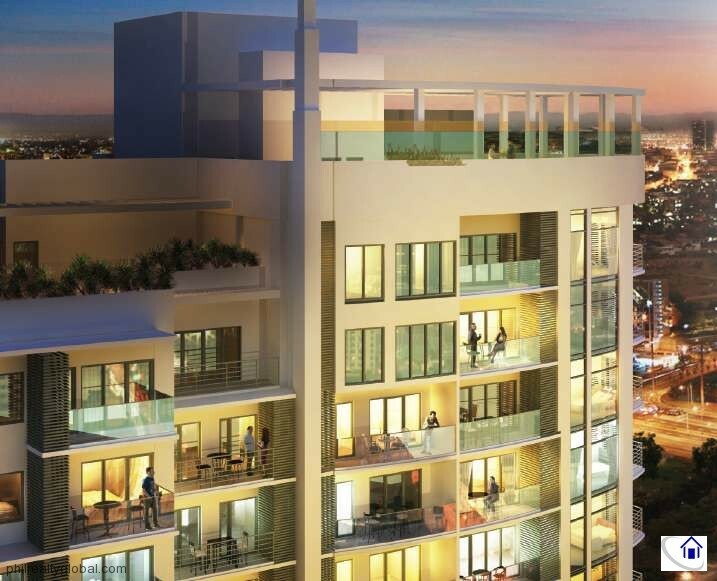 Embodying modern gentleness in its structure, the light and airy, 345- unit Bristol tower will soon become Filinvest City’s skyline signature. 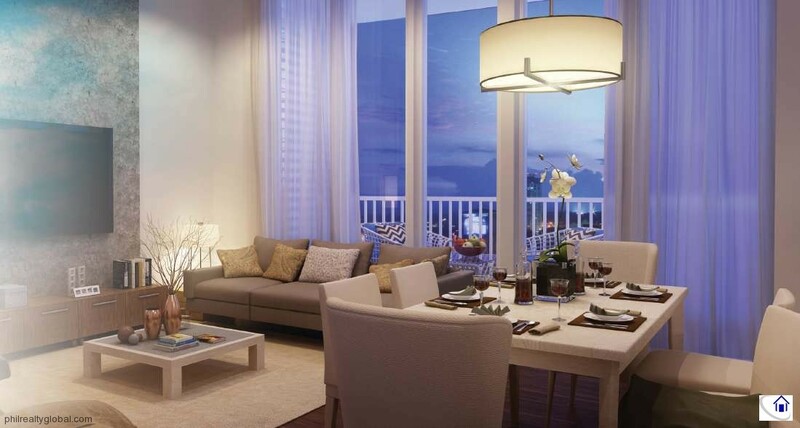 Offering impressively spacious 1-bedroom, 2-bedroom, and 3-bedroom units, Bristol typifies ease, openness and sophistication of a cosmopolitan lifestyle. 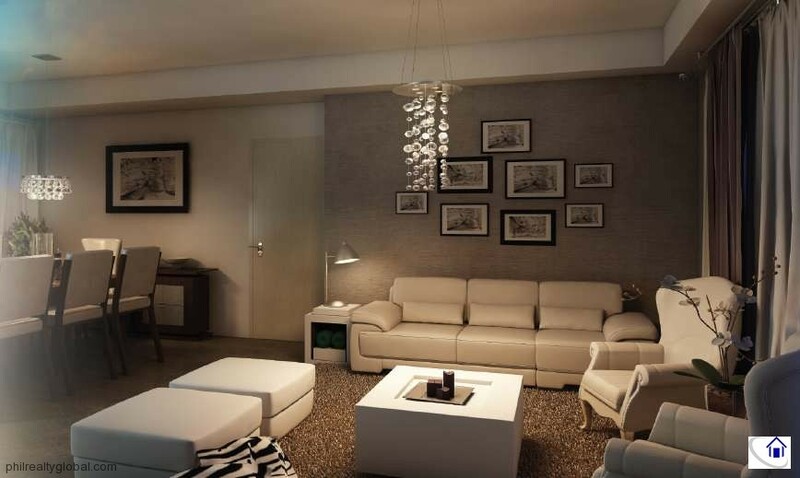 As you walk in to your generously laid out unit, you’ll instantly feel a sense of home and relaxation. 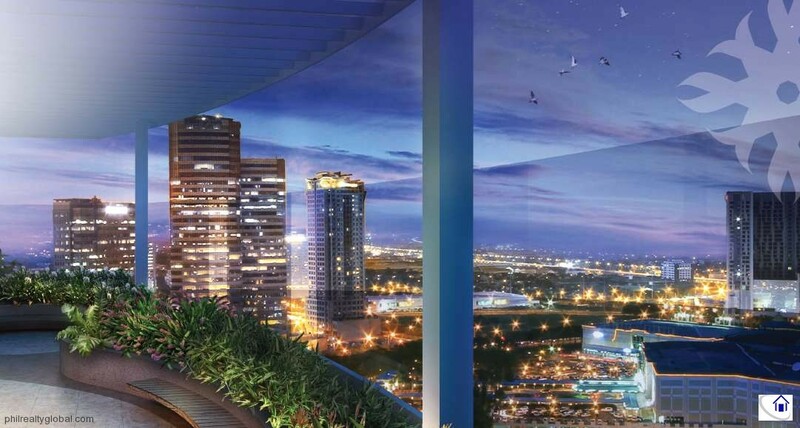 Enjoy the spectacular vista from the privacy of your own balcony, as all units are uniquely positioned for prominent views of a dynamic skyline. 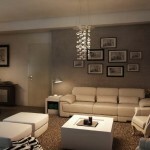 At the end of the day, take a breather in your expansive bedroom boasting of an environment of privacy and serenity.